The shape of the face it can also be used to reveal a person's personality. According to the experts to read the nature of the face, the shape of the position of the eyes, and nose, chin, ears, eyebrows and all parts of your face. speaks volumes about your personality. Any information of your face has meaning and hidden meaning. To read the character, nature, personality and try to note the person's face so that you will find the interpretation and you will know what a face in detail. 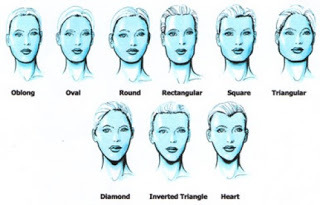 Includes eyebrow shape and height, angle and smoothness of the ears, the mouth length, the width of the lips and other things to determine a person's way of thinking and personality. if your ears long then it indicates that you have an incredible ability to listen. if your ear size was then demonstrated flexibility in listening. But if your ears shorter then showed a tendency to not only gather information but also pay attention to it seriously. Angled shape of your ear to the usually means you are easy to adjust. While the ears are angled outward show that you hesitate to follow the rules of society. For your ears are located higher than the brow then show that you people who want high achievers. Demonstrate how you manage your money and what makes you different as a worker. Short Nose talent shows hard work. Long nose showed skill and strategy planning special. Bumpy nose showing your work back and forth. Big nose showed the ability to make money. If the nostrils closed more than open, men are more likely to maintain their wealth. Form full lips, good at making conversation so wide open and could reveal something embarrassing. Thin lips show that you are smarter at keeping secrets private. Short lip can show that you are more like a one-way conversation. You have a long lips then shows that the ability to speak to many people. if you have full lips and big earlobes can show that you are a very sensual person. A thin upper lip indicates the less affection while the lower lip fuller shows the challenge. Taken together or separately can reveal ethic, ability to make decisions and how to resolve conflicts. Jaw width can show that you tend to be more physical than mental. Vice versa if you are a narrow jaw. While the high forehead indicates thinkers while the rounded forehead showed idealistic.